TIE PERFECT KNOTS..... CATCH MORE FISH! Don't Ask others to tie your TACKLE!
? Learn to quickly and easily tie hooks, swivels, jig heads and speed clips for attaching to lures and other Rigs.
? Eliminate painful injuries when tying chemically sharpened hooks. 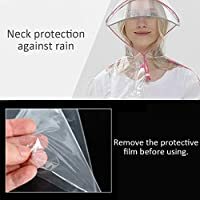 COVER your hooks on fishing poles and travel safely fully rigged, eliminate injuries to passengers or pets while travelling. 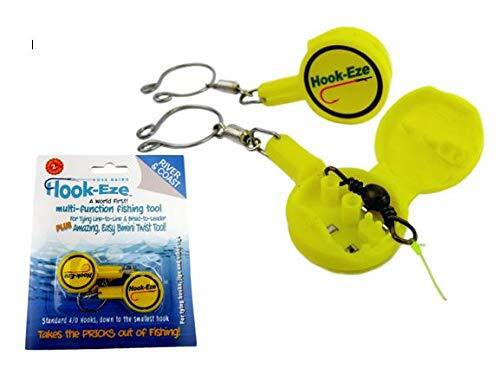 Hook-Eze is a GREAT tool for people with injuries to hands including arthritis, poor vision, diabetes or loss of dexterity or fine motor skills preventing you from fishing. Rediscover the joy of fishing and the outdoors post injury or disability. 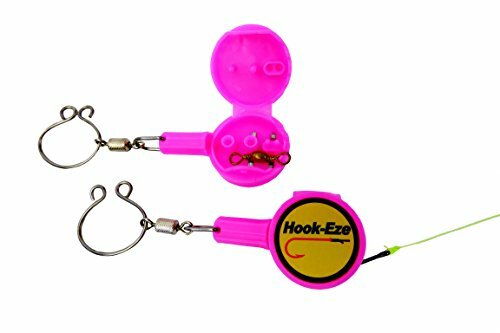 Hook-Eze helps to teach CHILDREN howto tie a PERFECT professional knot SAFELY which won't slip undone and provides more opportunity to catch a fish.
? 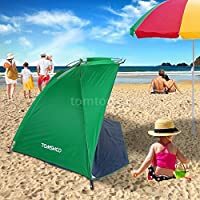 Create memories with your children, fishing is an ideal way to connect the younger generations to outdoor activities and strengthen bonds between family. For EXPERIENCED anglers Hookeze enables you to tie your hooks and tackle FASTER and is great for tying line-to-line, braid-to-leader & FG Knot. NOW available in 2 sizes - River & Coast suitable for hooks sized from a Standard 4/0 down to the smallest No. 28 The NEW larger Model Reef& Blue Water suits hooks sized from a Standard 1/0 up to a 10/0. FISHING KNOT TYING TOOL FOR FISHING GEAR Cover Hooks on fishing pole. Built in Stainless Steel LINE CUTTER Suitable for Saltwater Bass Kayak and Ice Fishing Hook-Eze also helps to tie Swivels, Jig Heads and Speed Clips for attaching lures or other rigs including a small variety of Flies. NOW EVERYBODY CAN TIE THEIR OWN TACKLE with a professional knot. 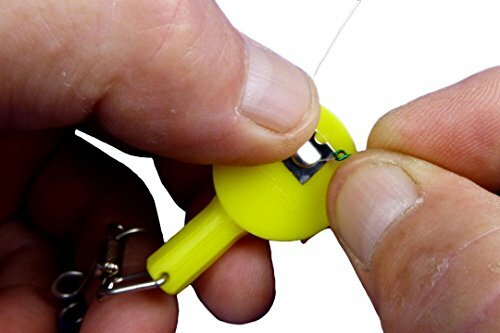 QUICK SAFE EASY Suitable for anglers of all ages and experience - Never lose a fish from a faulty knot! 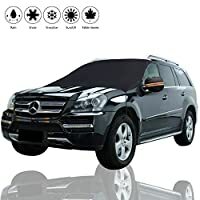 Ideal for cold weather conditions, numb or arthritic fingers and other disabilities to the hands. Great addition to any tackle box!! BEWARE OF COUNTERFEITS - Buying here from the Inventor, Ross Bain, guaranteeâs your satisfaction. 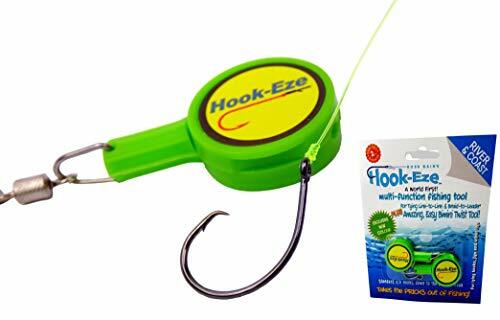 We are the ONLY Manufacturer of Hook-Eze. 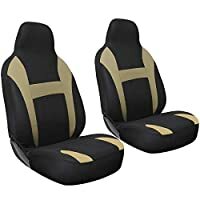 NOT MADE IN CHINA! We offer a MANUFACTURERS 2 YEAR WARRANTY - Hook-Eze is Manufactured from High Quality 100% Raw Virgin UV Stabilized Polypropylene and STAINLESS STEEL fittings making it impervious to all weather conditions and saltwater. 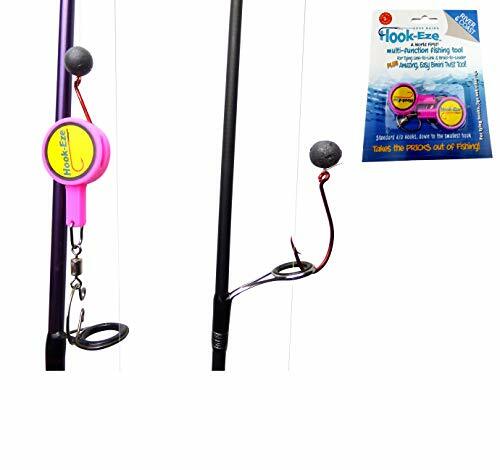 TRAVEL SAFELY - use Hook-Eze to cover the hooks attached to the pole so you can safely transport your fishing pole whilst fully rigged. 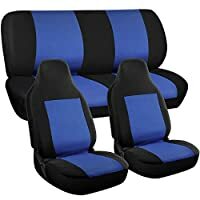 No more torn upholstery or damage to your car, boat or caravan. 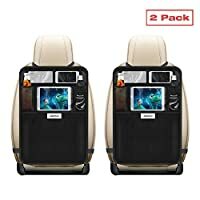 AVOID injuries to your passengers or pets. SIMPLE TO USE - Great for joining Line to Line or Leader. Braided Line to Monofilament / Leader using the FG, Blood or Yucatan knots. 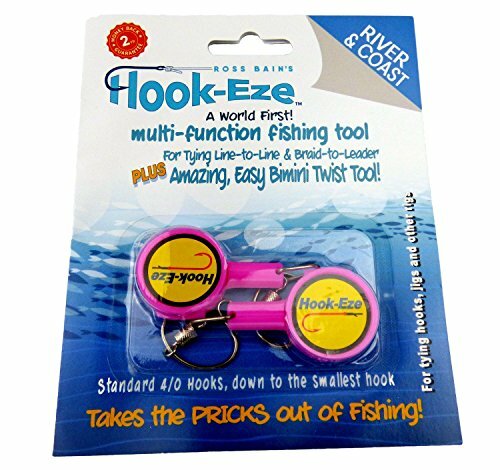 Hook Eze is an AWESOME Bimini Twist tool as the built in swivel helps create the twists in the line & now can be tied using only 2 hands and a HookEze.